Natalia asked if Gabriel ever loved him. Gabriel told Natalia the truth about his plans against Franco. He ruined her wedding to get her love and to hurt Franco. He tried to tell her Franco’s evilness but she is still blinded by her love for her father. Natalia told him nothing would be more painful than what he had done to her. Jacq came to Gabriel’s house but he is not there. Franco found out that She had gone out. Gabriel came home and saw Jacq waiting for him. He told her and his family about his encounter with Natalia. 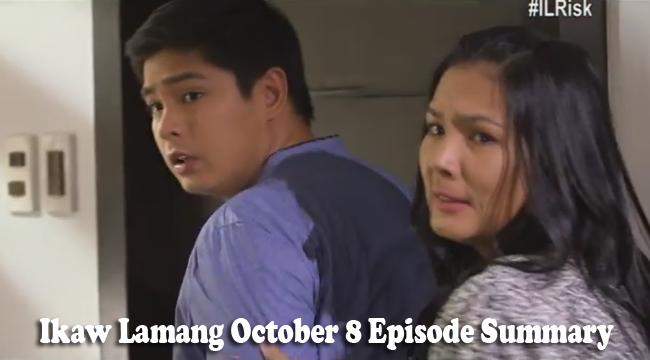 Franco was very angry at Jacq because he could not bear losing her to someone else especially to Gabriel. Jacq told Samuel everything about their current situation. She is scared of what the senator could do to them. Meanwhile, Isabelle tried to persuade Franco not to do any drastic things to Jacq but he is so angry that he plans to keep them all inside the house. Isabelle found Natalia crying. The daughter tried to make her go away but the mother’s love proved stronger. Isabelle came closer to her and told her all will be alright. For the first time, the mother and daughter hugged each other. Isabelle poured out all her feelings to Natalia as her daughter sleeps. Natalia seemed to silently weep as she hears her mother’s story. Jacq came home against Gabriel’s wishes because she could not bear being aways from her mother. Gabriel got worried for Jacq but Samuel promised to get them back. They had started drawing up plans but Franco is also brewing up a plan to make Samuel’s camp fail. Franco is trying to be ready on whatever plans Samuel has, especially on the day of their renewal of vows. Franco was so angry he had hit Jacq. She won’t tell him where Gabriel lives, so he locked her up as Isabelle watched helplessly. Natalia came and asked what had happened. She tried to say that Jacq deresves it but in her eyes she knew it is wrong. Isabelle asked her to persuade Franco to let Jacq out. Franco told her that he trusts only her. She is now in a dilemma on whose side she will be on. When would Natalia see Franco’s real character? How would Jacq convince her sister to be on their side? What are Samuel’s plan to save Isabelle and her daughters? Read all other Episode Summary of Ikaw Lamang here.